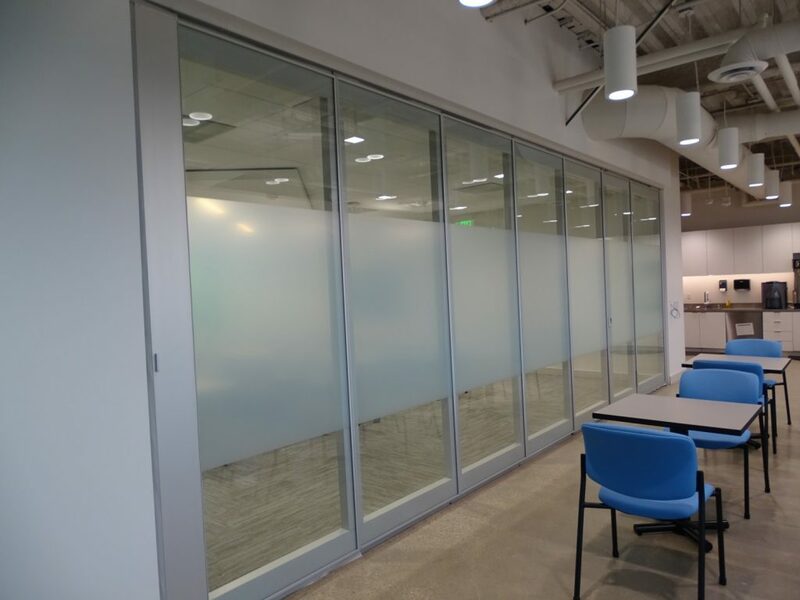 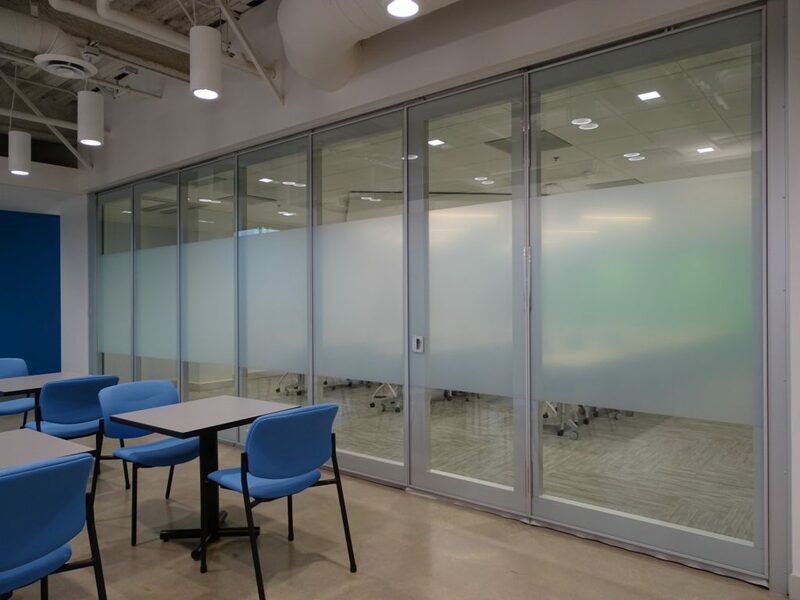 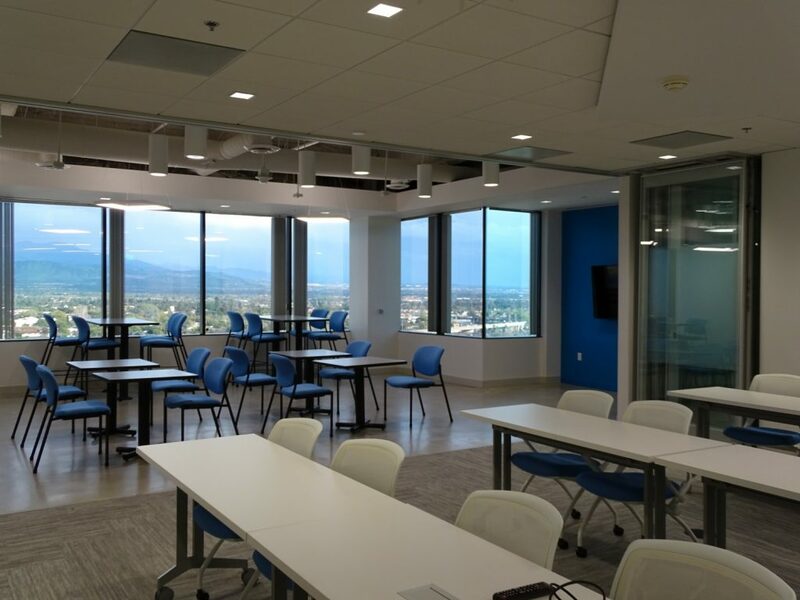 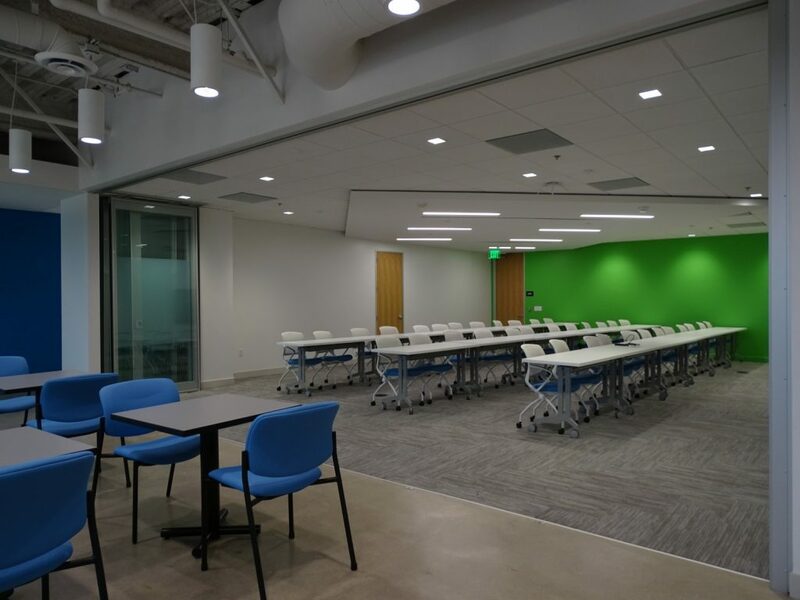 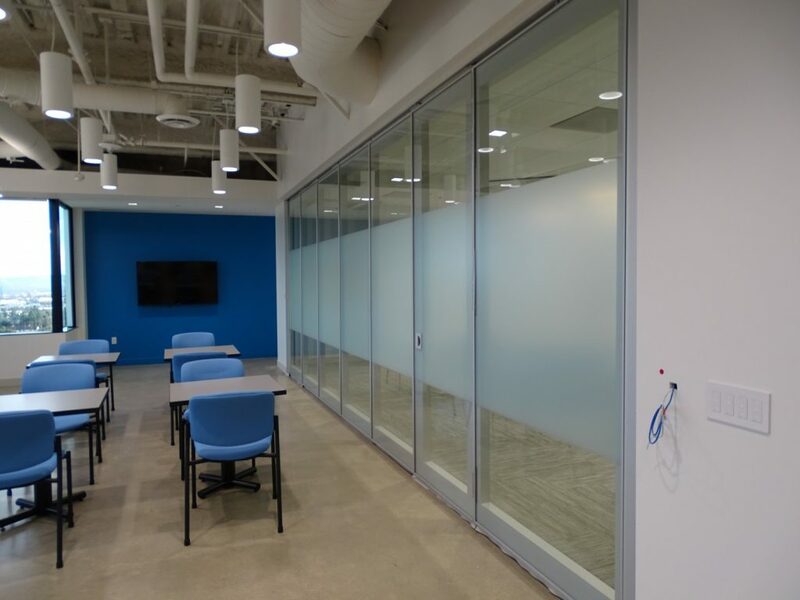 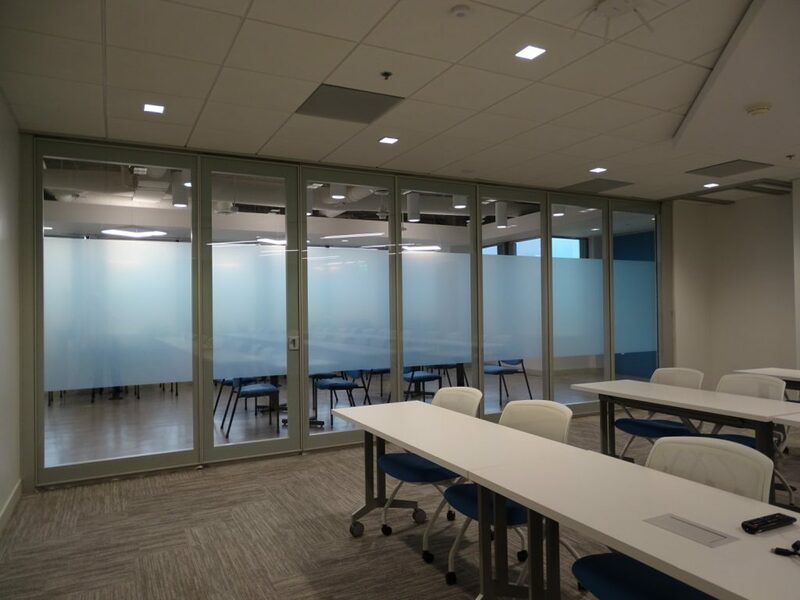 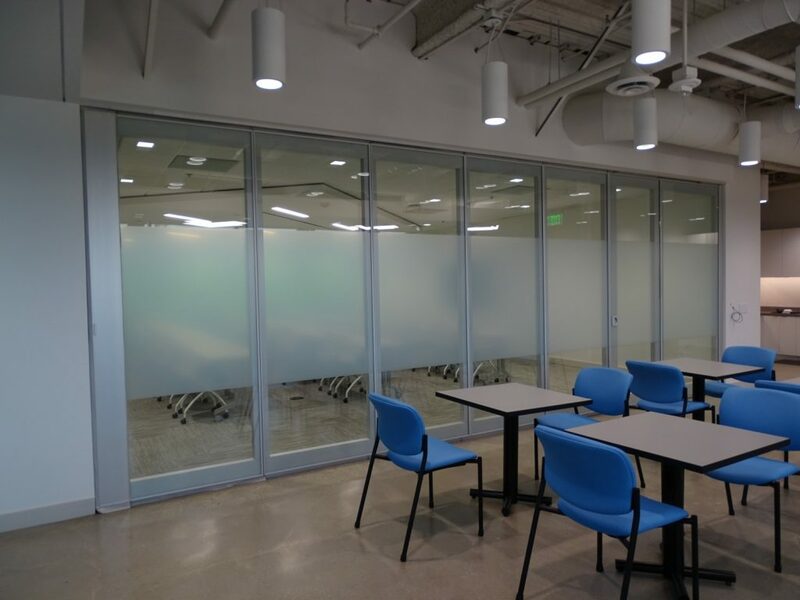 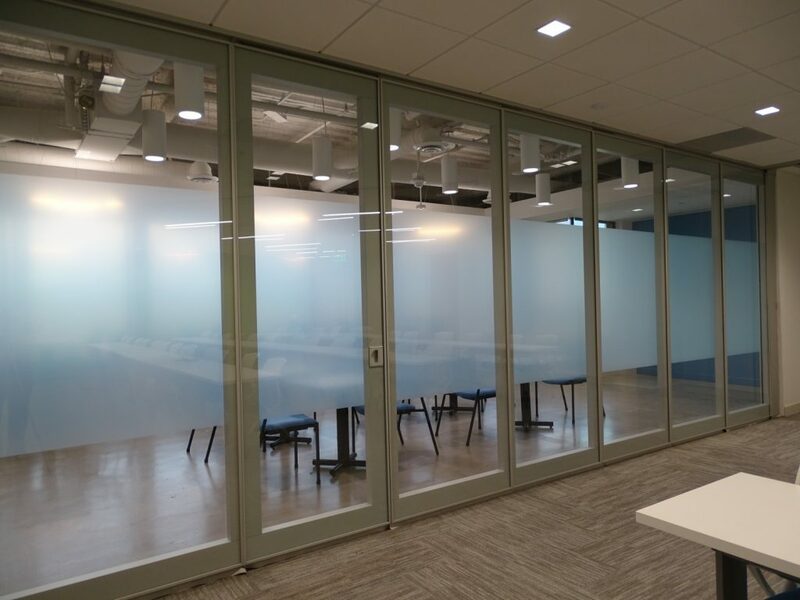 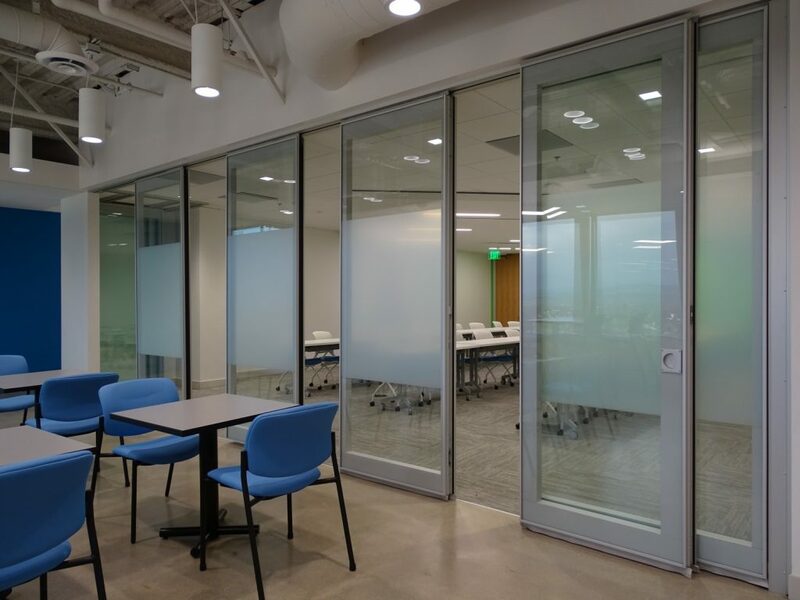 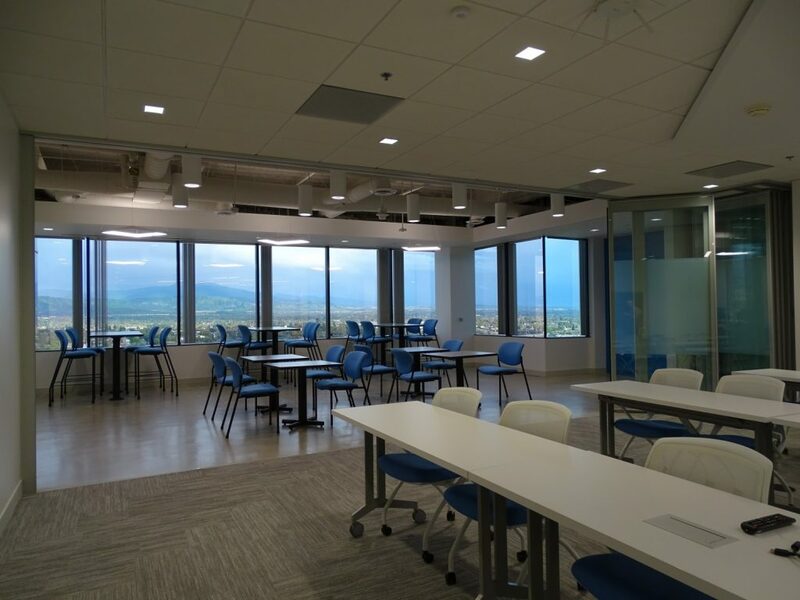 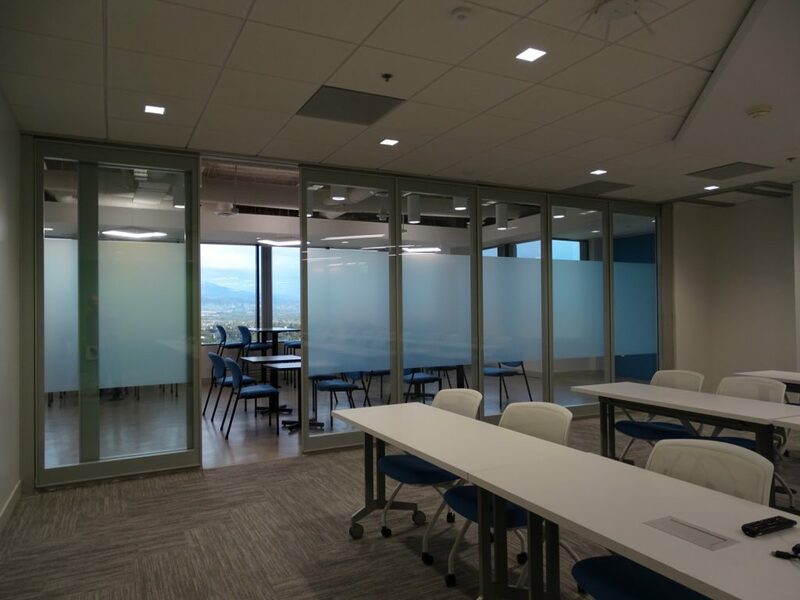 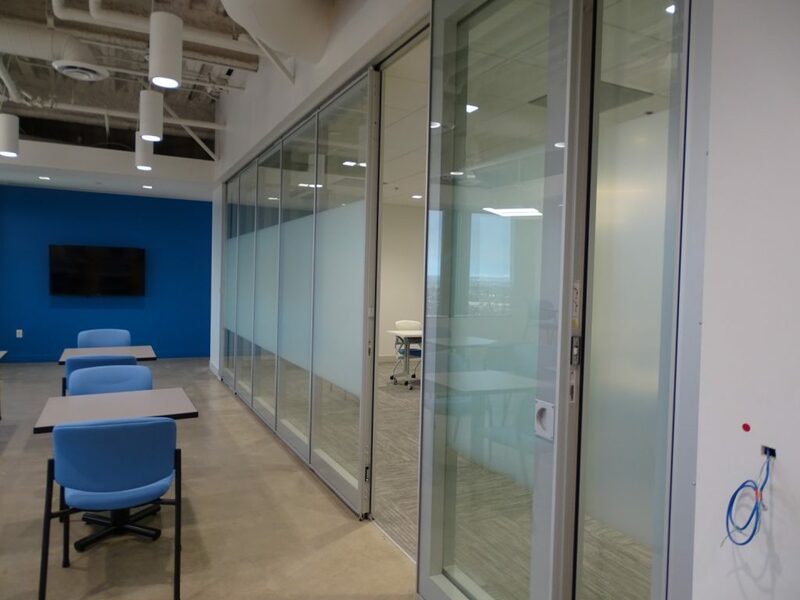 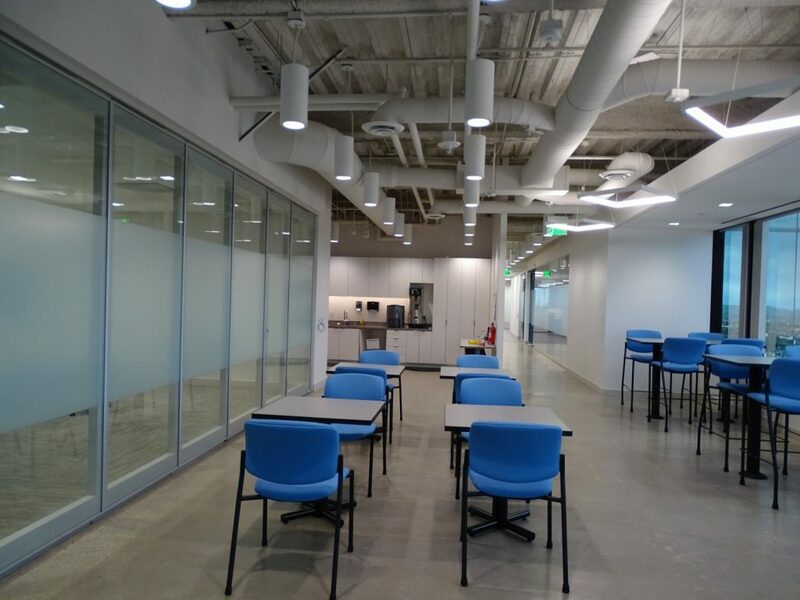 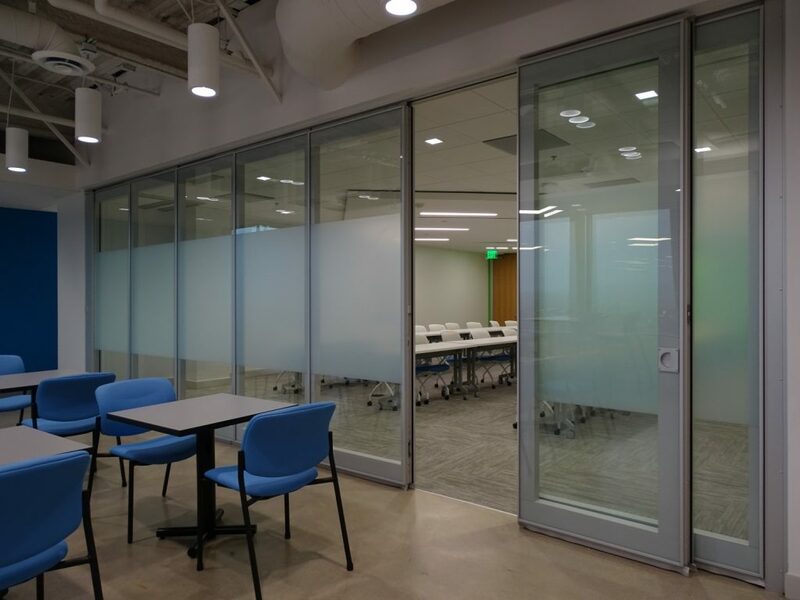 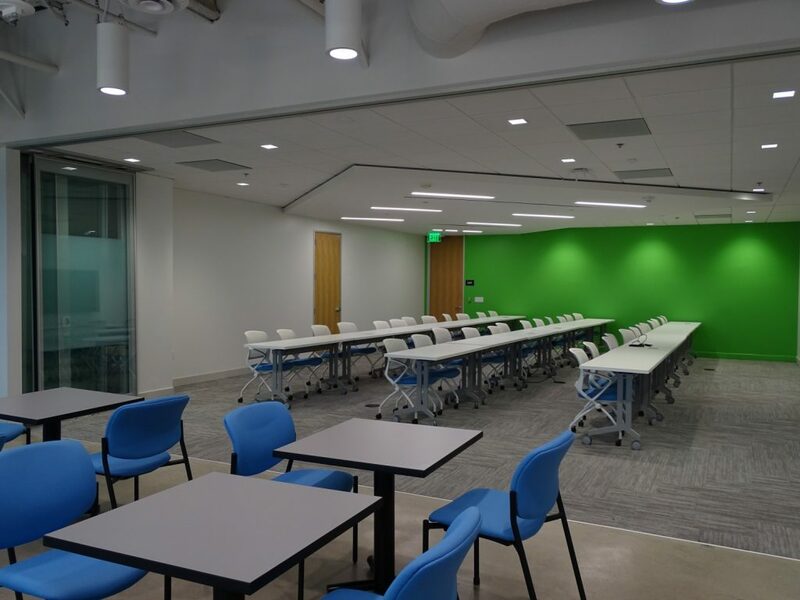 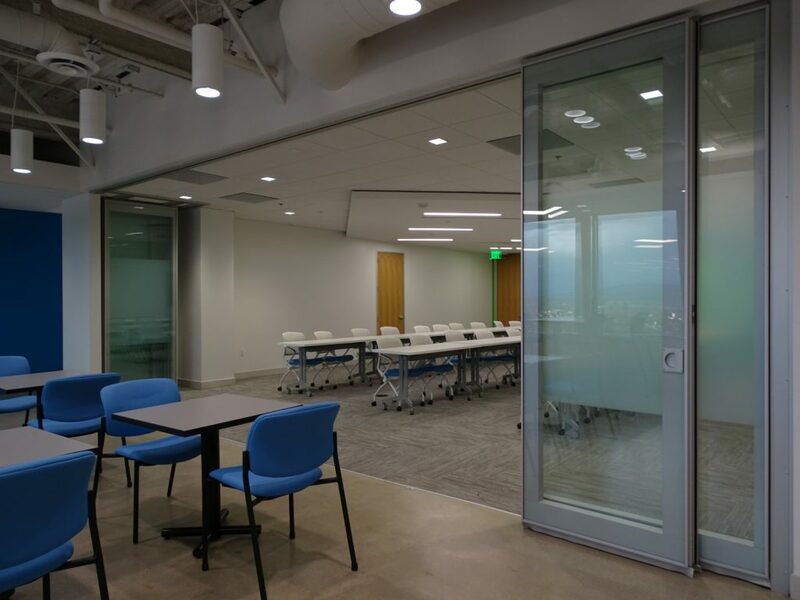 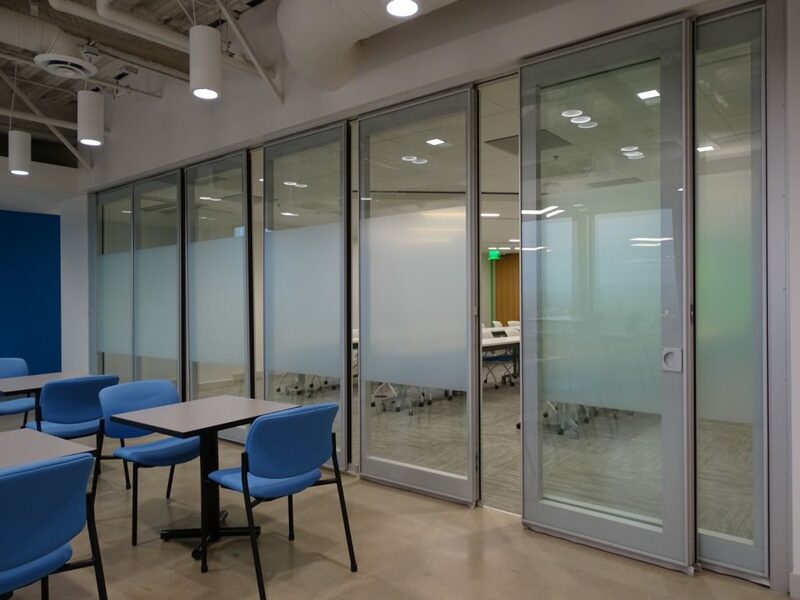 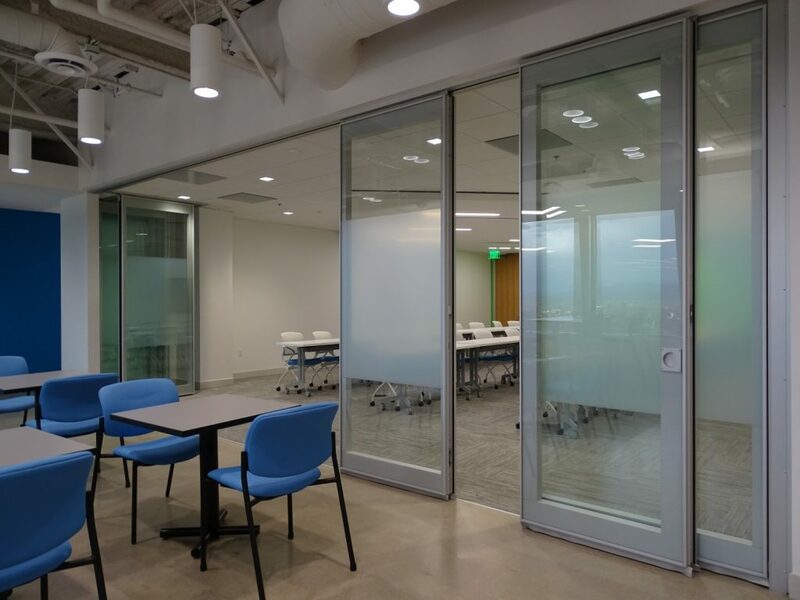 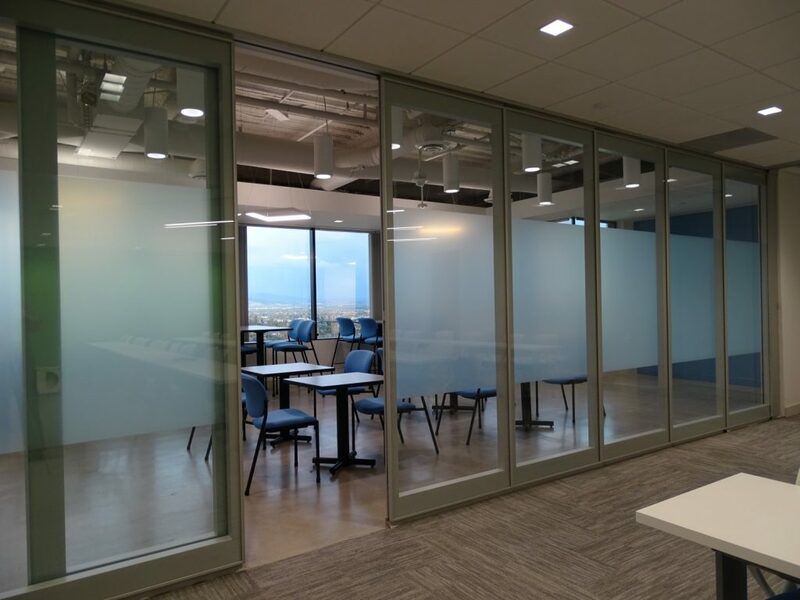 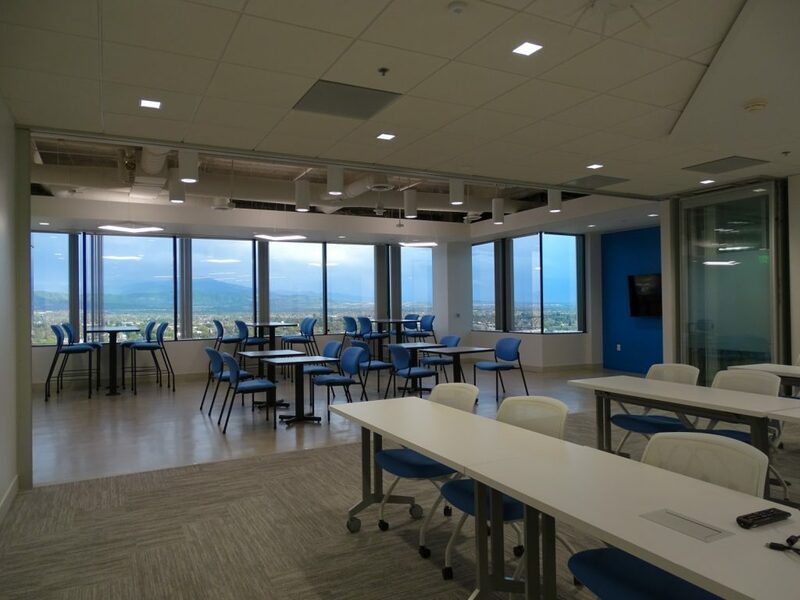 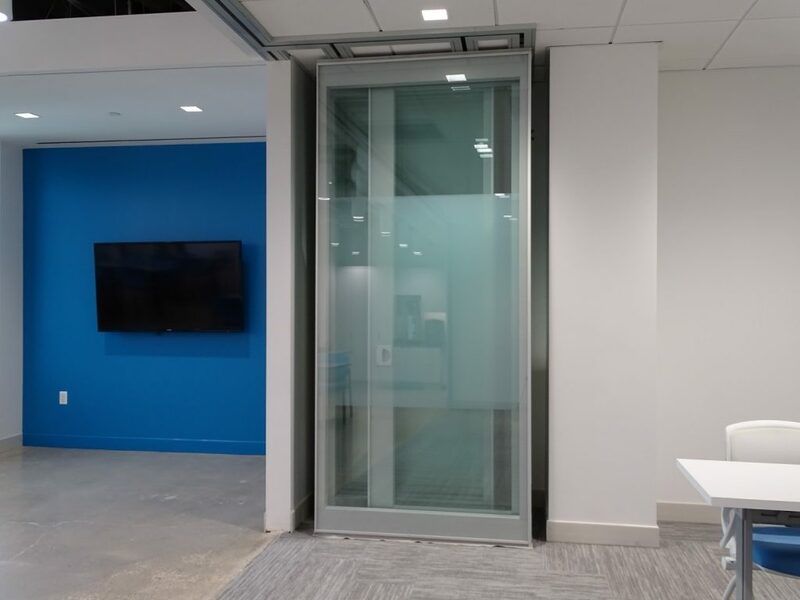 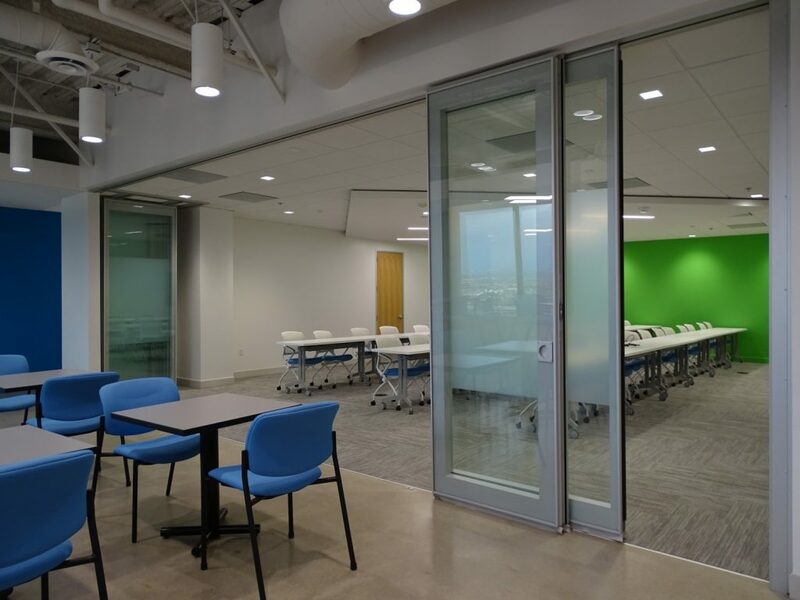 Another great flexible and creative space project with Moderco’s Crystal 44 STC glass operable partitions. 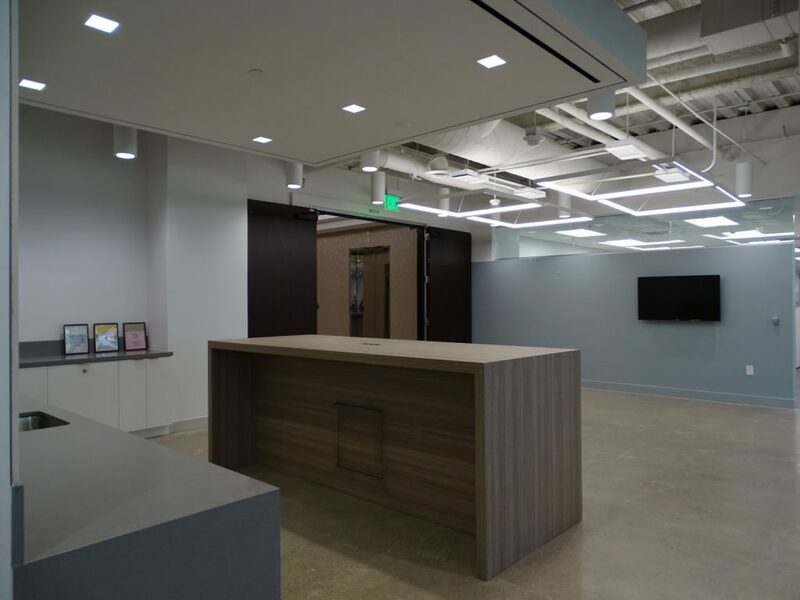 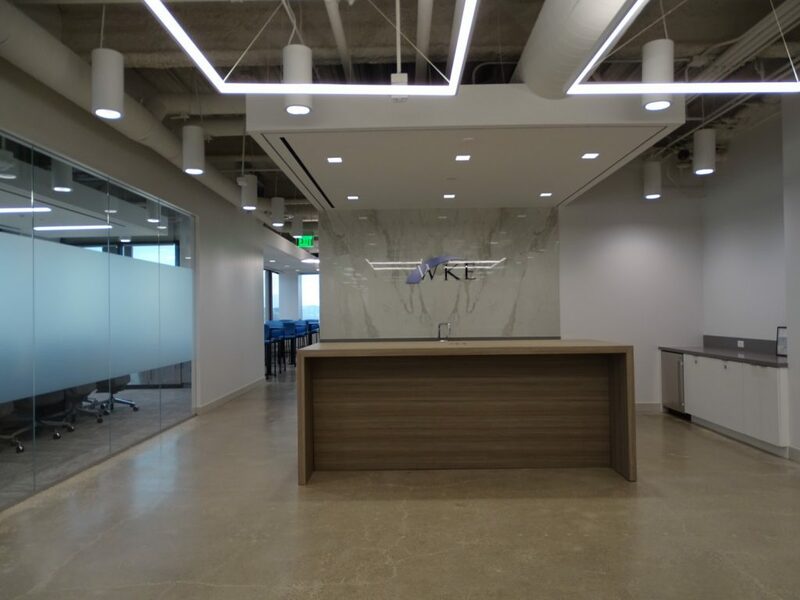 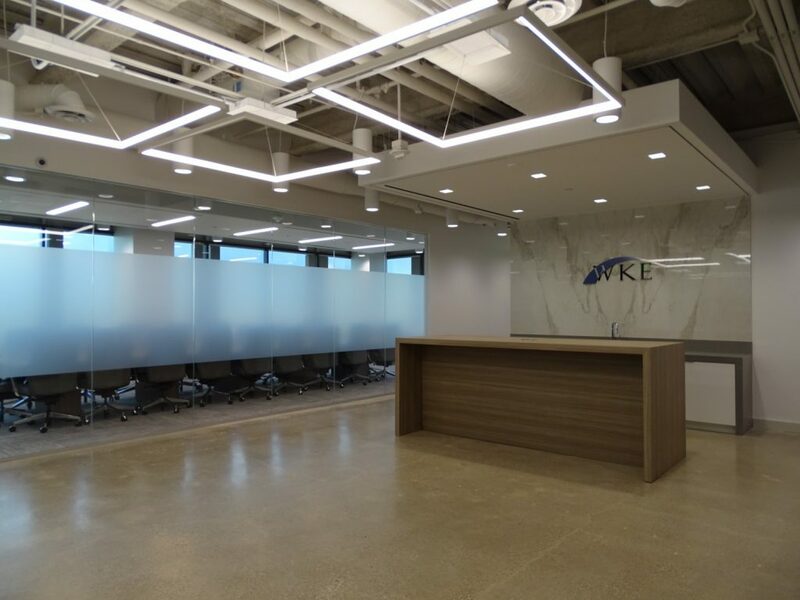 SAA Interior Architects designed a beautiful spaces for the corporate offices of WKE, Inc. 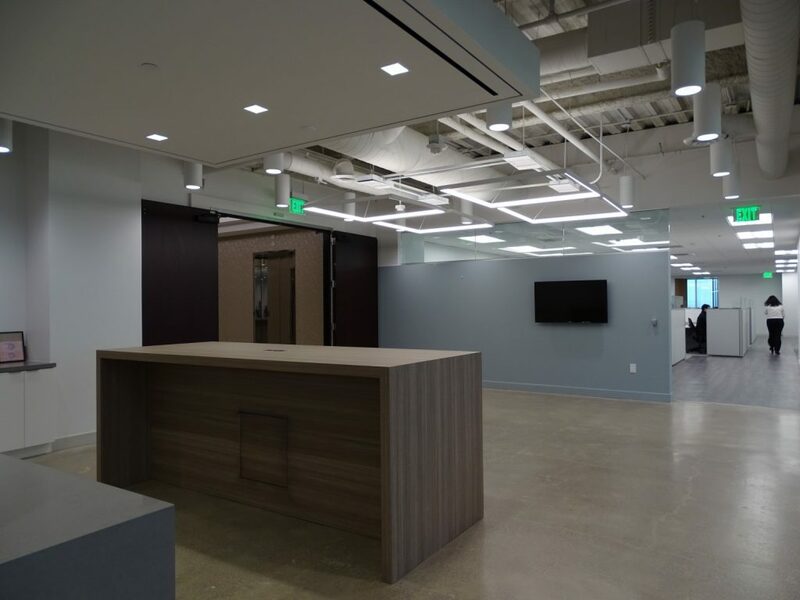 These civil engineers will notice and appreciate the quality details. 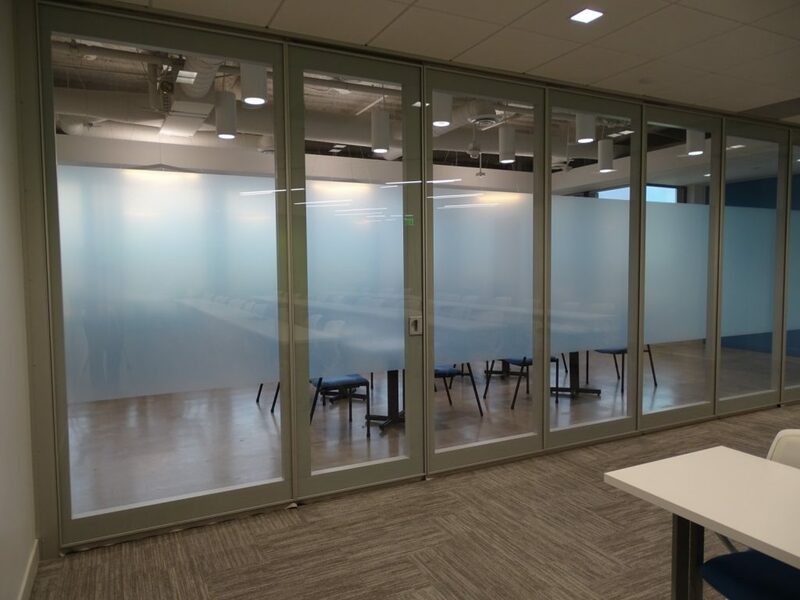 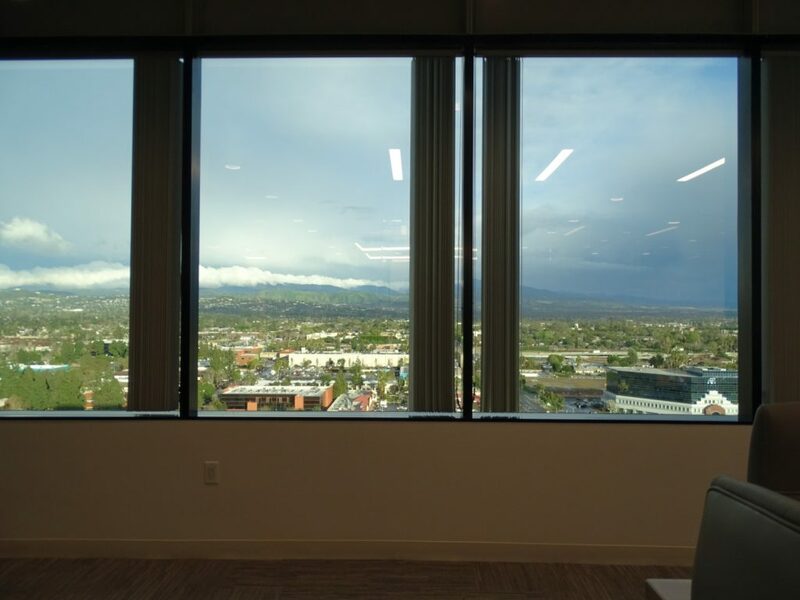 The glass preserves the views with a daily pass door when set up. 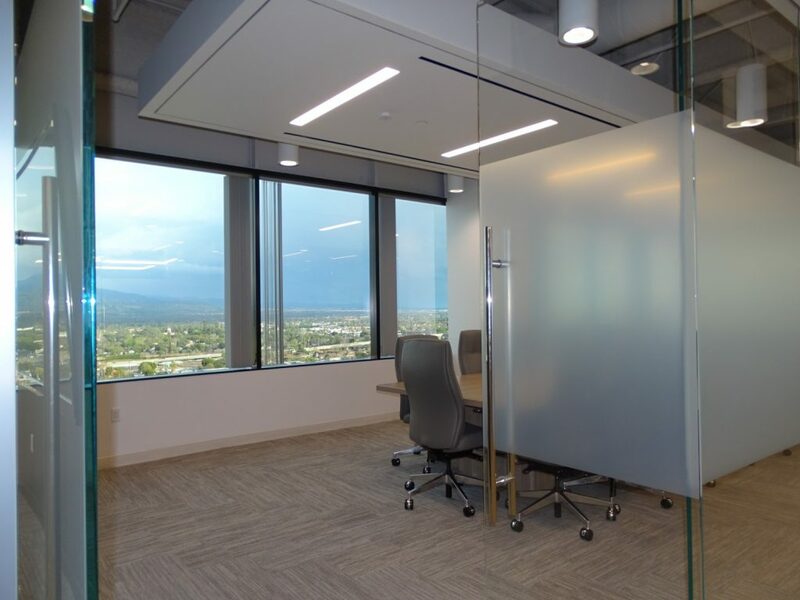 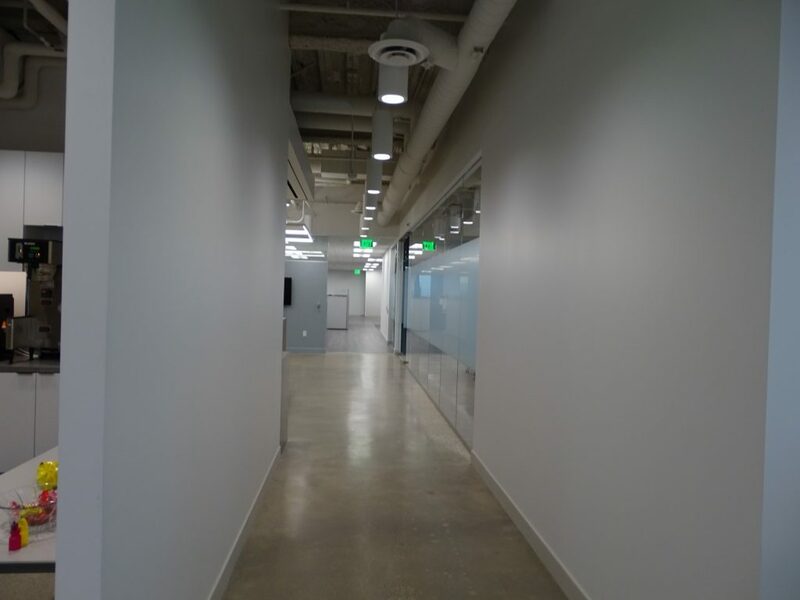 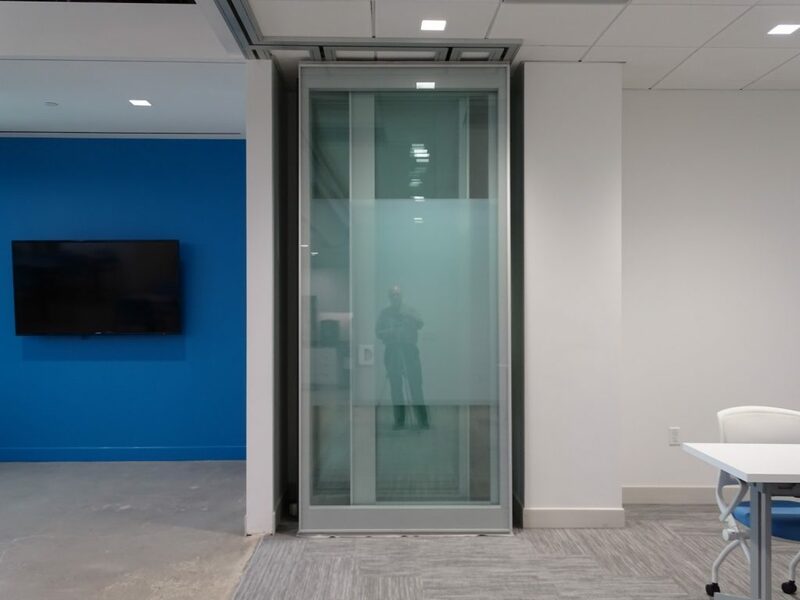 When needed, within minutes the partitions pocket away to create wide open spaces. 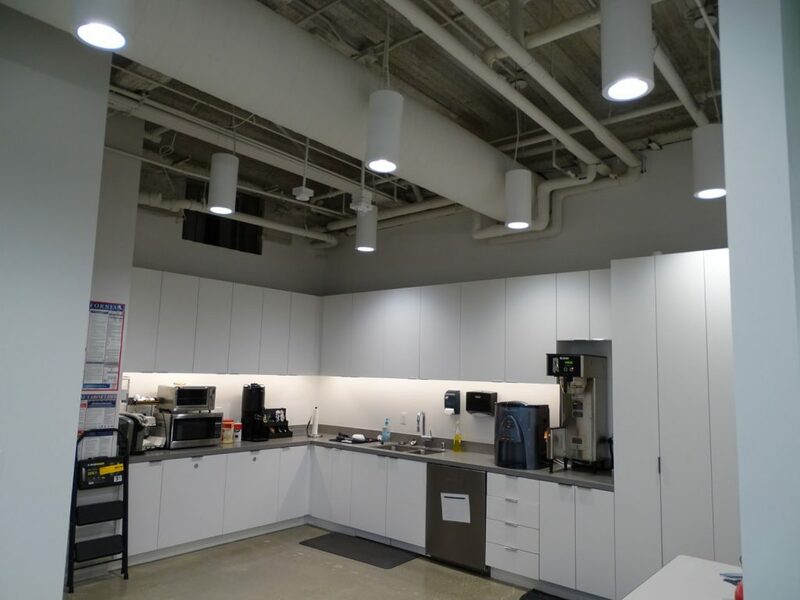 Crew Builders brought the project together well as GC. 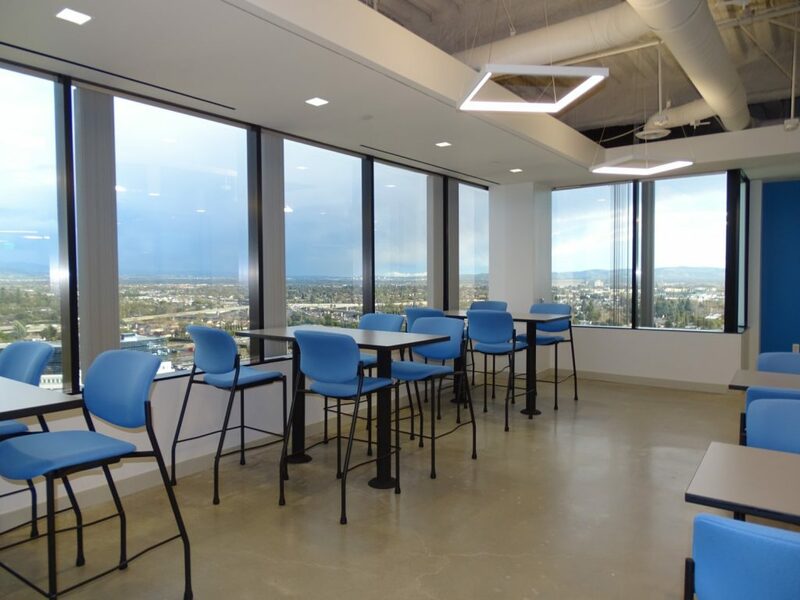 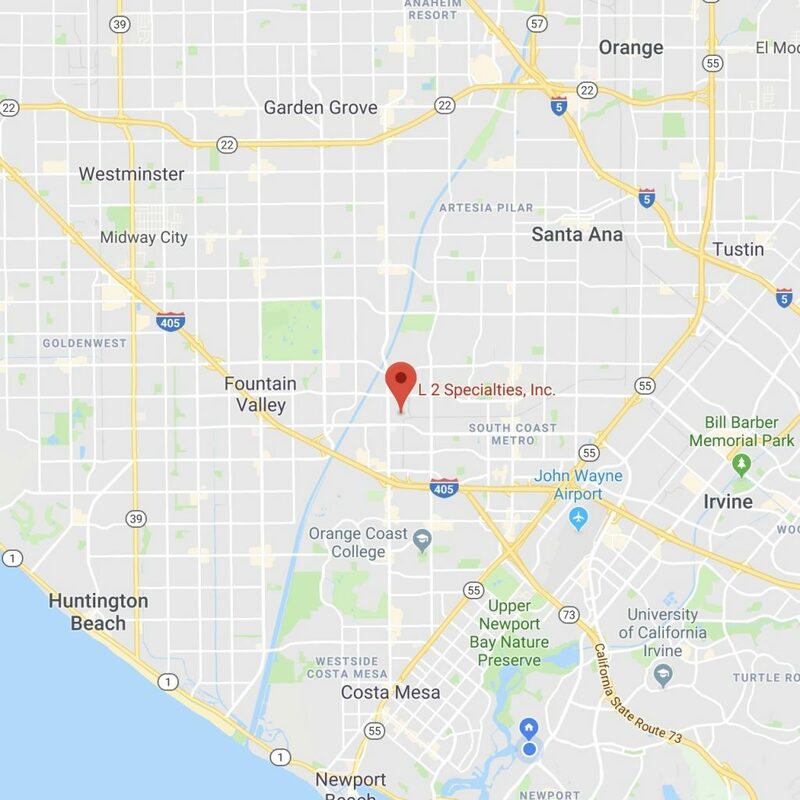 PMRG manages this great property at the 22 and 5 freeways.